Peak Gas Generation is exhibiting at PACK EXPO International, between the 6th and 9th of November. The event is being held at McCormick Place in Chicago, Illinois: a modern convention facility, with hall space spanning over 2.6 million square feet. Come visit Peak’s North American team of onsite gas generation specialists at booth S-3582, where we will be exhibiting our i-Flow nitrogen gas generators for industrial applications, alongside food packaging machinery manufacturing partner, PPi Technologies Group. 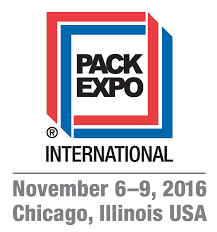 PACK EXPO International is recognized as the world’s largest and most comprehensive processing & packaging trade show. This year with approximately 2,500 exhibitors registered, expectations are for record breaking participation, bolstered by strong industry growth. Current estimates suggest there will be around 50,000 attendees seeking to view the vast array of technological innovations and full-scale industrial machinery in action, as well as gain new industrial insights and solutions for over 40 varied vertical markets. Peak Gas Generation's i-Flow 6000 series nitrogen generators are an ideal solution for manufacturing & processing industries such as food, beverage, electronics & pharmaceuticals, that require a supply of nitrogen to support applications like, blanketing, food packaging, sparging and more. Their modular & scalable design, means each generator can be expanded to supply growing future nitrogen demands and offers packaging customers a cost effective, economical, future proof and sustainable onsite alternative to bulk nitrogen supply methods, such as gas cylinders or liquid dewars or tanks. Want to learn more about how Peak Gas Generation's products & services? Come speak to one of the team at booth S-3582 between 6th & 9th of November and find out how we can help your company reduce its costs, while maximizing productivity.